A Chicago Cubs fan is feeling the effects of a loss before any players even report to Spring Training. 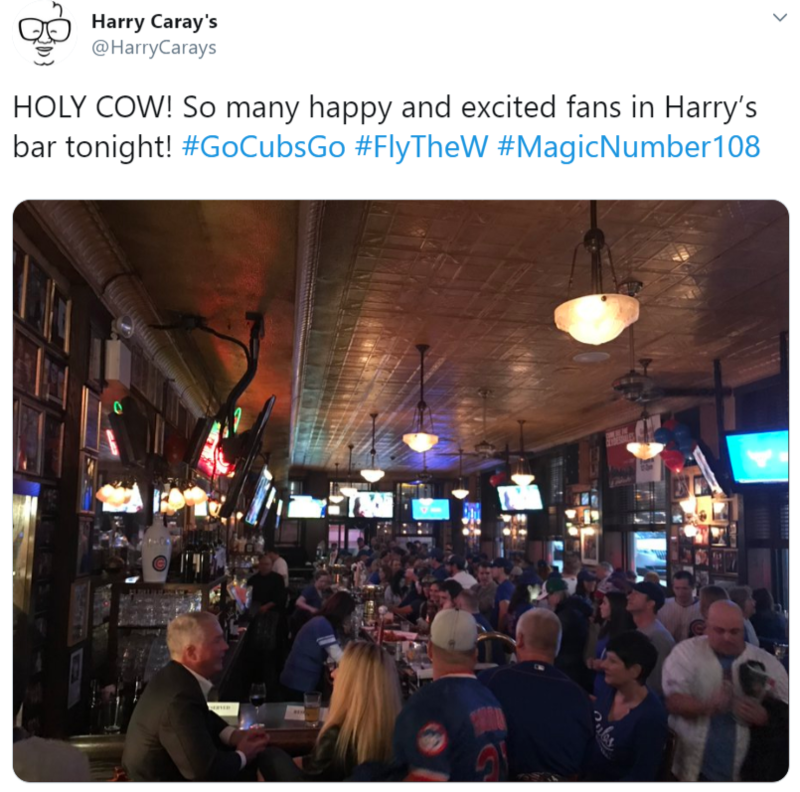 A ruling by the Trademark Trial and Appeal Board (TTAB) states that the fan and owner of Harry Caray’s Restaurant Group, Grant DePorter, cannot register the hashtag “#MAGICNUMBER108” as a trademark for use with a variety of apparel. Initially, the examining attorney assigned to DePorter’s application said that the trademark application was not worthy of registration, because #MAGICNUMBER108 is informational matter that fails to function as a trademark to indicate the source of DePorter’s goods and to identify them from the goods of others. The TTAB affirmed the examining attorney’s opinion. Including a mark on a specimen does not necessarily mean that the mark will be registered, as is shown in the #MAGICNUMBER108 case. “[T]erms and expressions that merely convey an informational message are not registrable,” said the TTAB in its opinion. The main issue with DePorter’s application is that the mark is a commonly used term or expression, which means that it is less likely for the public to use it to identify only one source. As such, it would deem the mark as being unworthy for registration status. Interestingly, the case also demonstrates that social media activity surrounding a mark may serve to diminish its ability to be registered. Here, the examining attorney cited to numerous social media postings that included #MAGICNUMBER108 during and after the 2016 World Series. Many baseball fans, and probably most Cubs fans, know that the #MAGICNUMBER108 stands for the number of years between the Cubs World Series victory in 2016 and the franchise’s previous win in 1908. While DePorter has definitely used the #MAGICNUMBER108 extensively, it appears that many others have as well. Again, the TTAB’s position on social media use is quite informative. Further, the inclusion of a hashtag can hurt an application’s likelihood of success. “Where a hashtag is used as part of an online social media search term, it generally serves no source-indicating function, because it merely facilitate[s] categorization and searching within online social media,” said the TTAB. Essentially, the TTAB is saying that inclusion of a hashtag helps prove that the intention is widespread use of the mark by many, thereby potentially eliminating the right to registration status. It is an interesting observation that could cause future applicants to rethink the use of the popularized hashtag in their marks. The caveat to that is hashtag marks will be registered if used to create product awareness, but that was not found to be the case with DePorter’s use of #MAGICNUMBER108.